How can you write a story that becomes a memorable illustration? I wrestled with that question when a speaker made a comment during a leadership training seminar. “I read a lot,” he said. “But I don’t read fiction.” Stories are frivolous time-wasters, he maintained. As I pondered this, I found that I disagreed. 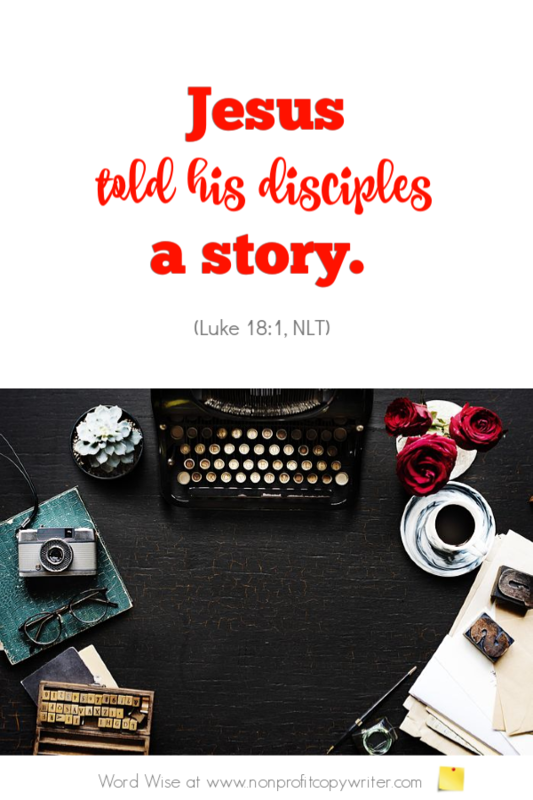 Jesus used colorful, engaging stories as illustrations – more than forty of them. They’re called parables. The fact is that Jesus’ stories were both entertaining and purposeful. He wove details into stories to emphasize a truth, to teach a lesson, or to help people understand. A woman searched feverishly for a coin hidden in a grimy pile of trash showed listeners the great love of the Father. A sumptuous wedding banquet with guests decked out in finery pointed out the need to be clothed in God’s righteousness. Often, in the moment, listeners didn’t understand the point to the story. But later they did – when they recalled the vivid details and connected the dots to an issue in their lives. Jesus’s stories are so good that we continue to learn from them today. How can I best write a story that becomes a memorable illustration rather than a frivolous time-waster? As they say, it’s all in the details. Use details when you write a story. Thank you for using stories to help illustrate a point. Show me how to include details in illustrations. Let me follow your example as I write a story to include in an article, post, book, or other piece of content.